Marriott Rewards has finally managed to update former SPG members accounts with the appropriate status extension and lifetime status appropriation if they qualified with 25 stays at SPG brands in 2018. 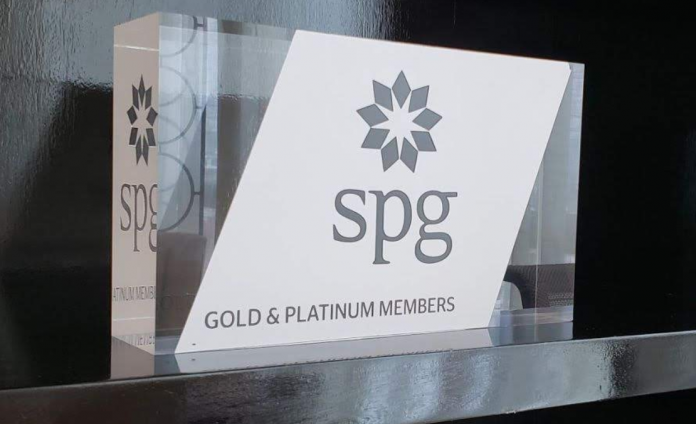 SPG/Marriott has previously implemented an exception that allowed SPG members to qualify for their 2019 status based on legacy criteria of the original program which allowed qualification based on stays instead of nights. It’s no secret that the merger of the two programs didn’t exactly run smooth to say the least. We have covered the issues extensively over the past six months. You can access Marriott’s page to check your status here. The counter has been sitting at 8 years until yesterday. 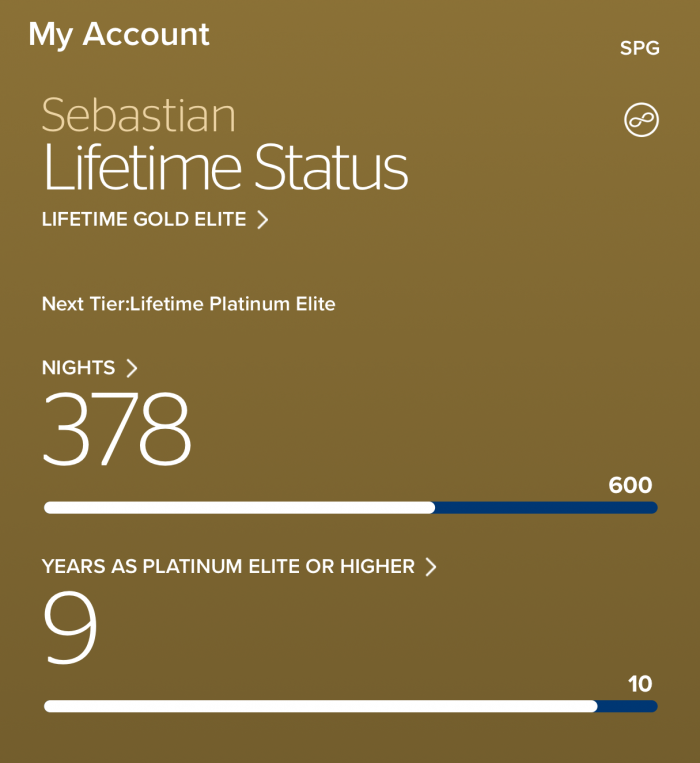 The actual validity of the status itself is nowhere to be found yet but obviously the lifetime status counter wouldn’t have moved if Marriott didn’t register my 2018 activity as qualifying for Platinum. I assume and hope that once the BonVoy website goes live Marriott will come up with a more practical graphic and sends out membership cards again. In previous correspondence Marriott promised the status would be adjusted until the end of January which actually happened. To be honest I didn’t believe it would and was prepared to chase it up again. Looking at my personal counter it’s somewhat regrettable I didn’t reach Lifetime Platinum before the cutoff. I didn’t stay as much in hotels though until around ~2008/2009 so the required 10 years of Platinum wouldn’t have been there even if I had stayed more with SPG over the last years. The new 600 night requirement vs 500 with SPG isn’t a big deal in my eyes, quite the opposite as it leaves me a bit more time without stressing out once the 10 years of Platinum are full this year.